This is the story of how Henry came to be and how he survived his first few days. It’s kinda long, but it’s my blog and I can write a long blog post if I want to. The saga of Henry Texas Howard begins on Sunday, January 8th. Henry was a little over 41 weeks and just decided that he was comfy where he was, but my doctor decided that I needed to be induced. Ted and I arrived at the hospital to start Cervadil that night (trying one thing before starting Pitocin the next morning). 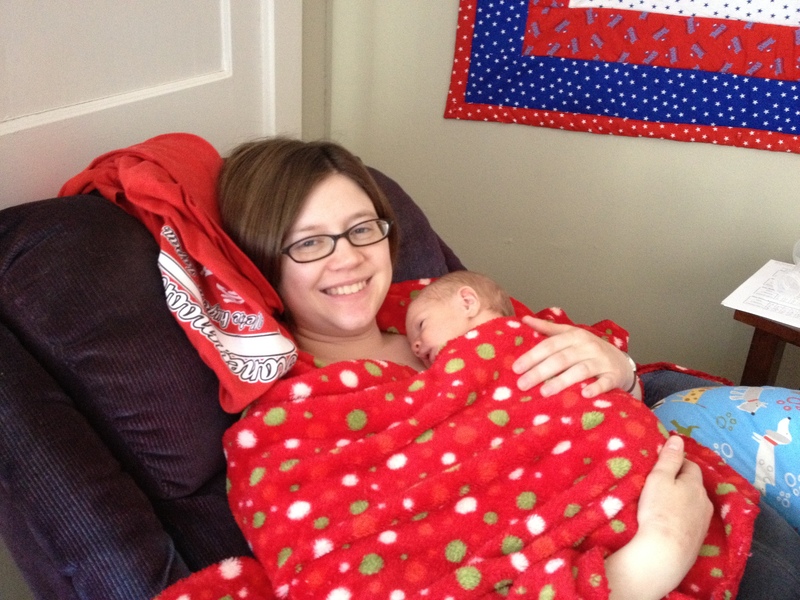 The Pitocin began at about 8:00am and before I knew it, I was in labor. My intention for the birth was to “go natural,” meaning no drugs, no epidural, but things didn’t go exactly as planned. First of all, being induced makes things trickier because Henry was constantly being monitored through this belt contraption around my belly, and every time I moved they would lose Henry’s heartbeat. So a nurse would come in and readjust the monitor or readjust me – not the most pleasant experience when you are in some pretty serious pain. I also was not prepared for how strong the contractions would be on Pitocin. Every time they took me off the meds, I would have contractions on my own (and these were much more manageable), but they weren’t productive, so back on the Pitocin I went. The third thing that I wasn’t expecting was how long my labor would be: a total of about 18 hrs –more if you count the tiny contractions I was having the night before. Ted and I had really tried to prepare ourselves for a natural birth. I had read lots of books, and he even read a book to prepare him as my birthing coach. We took a Lamaze class, and decided we would be committed to going all the way. We even hired our friend, Tiffany, as a doula to also help me through the labor. But when my water broke at 4pm, after 12 hours of labor, that’s when the pain got real. Ted and Tiffany were wonderful in helping me breathe through the pain, but at 7pm, exhausted and upset about needing to go back on the Pitocin to have productive contractions, I broke down and asked for the epidural. At the time, I was really disappointed in myself, apologizing to Ted and Tiffany for giving in to the pain. However, looking back on it, had I not gotten the epidural when I did, I’m not sure I would have had the energy to push. I still had 6 more hours of labor to go, but with the epidural I was able to rest. I was all prepared for Henry to be born on January 9th, so I couldn’t believe it when the clock struck midnight and I realized (and prayed for my body’s sake) that he would be born January 10th. Finally, the time had come for me to push. I have to say that this was a part of labor that I truly enjoyed. The epidural had worn off a bit, so I could somewhat feel the contractions and the need to push. It was amazing watching Henry’s head crown (the doctor held up a mirror for me), and was very helpful for me to see what progress each push made. Then suddenly, there he was — out of me and onto my chest. This beautiful baby boy, all puffy and wet and reminiscent of Winston Churchill. Ted and I were able to have some time just the three of us, before moving on to the post-partum unit. We decided to have Henry room in with us, even though we were exhausted, so that we could practice being parents for our first day and night. And I’m so glad that we got to spend that time with him because he would soon be taken away from us and into the NICU, but I’m getting to that part. On Wednesday morning, the pediatrician found something that needed to be checked out and a specialist was called. At noon that day, we found out Henry needed emergency surgery. I’m not going to talk in detail about what kind of surgery he had because I want to maintain his medical privacy. He can write his own blog post about it when he’s old enough to decide what details of his life he wants available on the Internet, but I don’t want to decide that for him. The surgery was quick and all was well, but it was still hard for Ted and I to be separated from him and for us to go through the slight trauma of our new baby boy needing surgery on his second day of life. I have to say that everyone at Medical City is absolutely amazing though. The doctors, the nurses, the lactation consultants – everyone – went above and beyond to help us adjust to the news and support us through these scary moments. The NICU nurses and doctors were amazing. 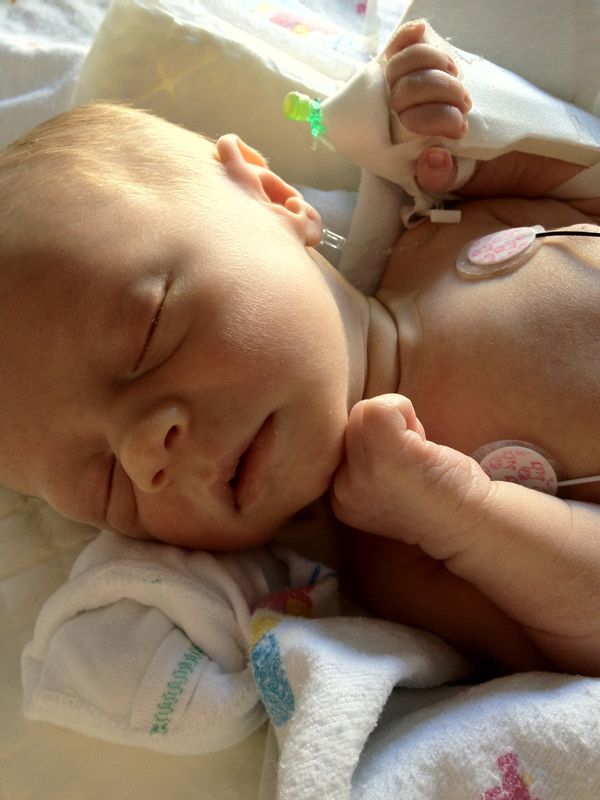 They educated us, and helped us feel more comfortable about him staying in the NICU. Henry only had to stay one extra day, to make sure he was eating well, and then on Friday afternoon, Ted, Henry and I were able to go home. Henry has adjusted quite well to life on this earth – it’s his parents who are having difficulty adjusting to life with him. We love this little guy to bits, but we’re not always sure what to do with him. Henry is healthy, eating well, pooping up a storm, and only cries when he needs a diaper change or something to munch on. I feel ridiculously blessed to have such a mellow baby (a trait I’m sure he inherited from his daddy). I’m still getting used to being his Mommy, but I wouldn’t want any other job right now (though I do miss my mandated 30-minute lunch break from my El Centro job). As I write this, I gaze at him lying peacefully in his crib, one arm broken free from his swaddle, just the way he likes it, and I realize that we’re all going to be ok.
You cannot beat the snuggly sweetness of a newborn laying inside your robe or PJs on your chest. Even through the exhaustion, it’s a perfect moment! Great post, Megan! I love these pictures, too. I can’t wait to spend more time with you this week! Megan, your blog post made me tear up. We experienced so many similar things. Ben and I prepared for a natural birthing experience too, but when I started vomiting I knew I couldn’t handle the pain of convulsions AND the pain of contractions and decided to get an epidural. I hope you’re at peace with your decision. I know I am. I’m proud of myself for being prepared but also flexible in unexpected situations. So many other things were different than I thought they’d be. My two-page birth plan reads like a manual of what would NOT happen in my labor. And then to hear that Henry had to have surgery at such a young age. I’m sorry! 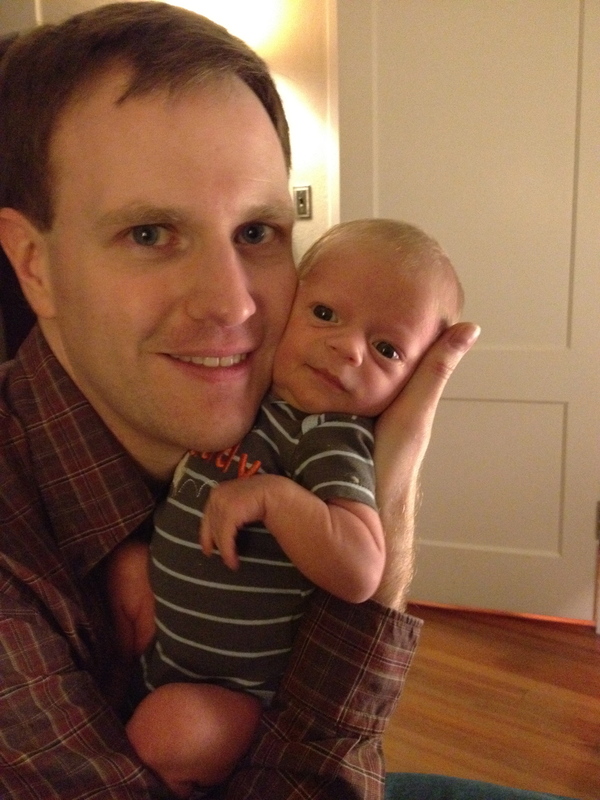 Ben and I were terrified when Asher got jaundice and wouldn’t eat for two days. I’m really proud of you and Ted for being so brave. The whole time we were in the hospital I felt like, aside from my husband, we were alone and other people have it a lot easier. Now that we’re home things have gotten better, but it’s still a struggle (we’re still battling some eating issues). I am praying for you and Ted Henry. Love you! Hi Tiffany! I hope Asher (I love that name by the way) is doing well and is eating like a champ. So sorry you had to go through some scary stuff too. Henry is thriving now, and I’m sure Asher will be too. Ted and I are still figuring out what to do with him (the reason why I am just NOW getting to write back to you). 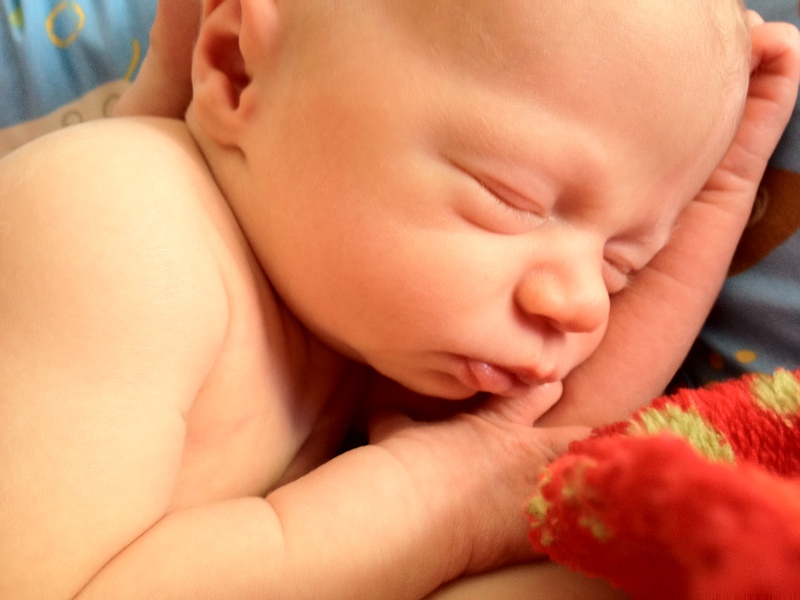 I saw the pictures of him on Facebook and Asher is just adorable. Love hearing your very eventful birthing story and seeing the photos of your precious son, and of course his delightful and charming parents! May every day bring additional joy to your home, not to mention stamina to deal with all the changes to the family dynamic, not to mention the changes to baby Henry! And does he love his new diapers, I presume? Thanks for the blessing, Vicki! And he’s not wearing his cloth diapers yet (they are too big for him). I’ll probably be starting the cloth diapering after a few more weeks. I’m still just working on getting Henry figured out, a process that I’m sure will take all his life.